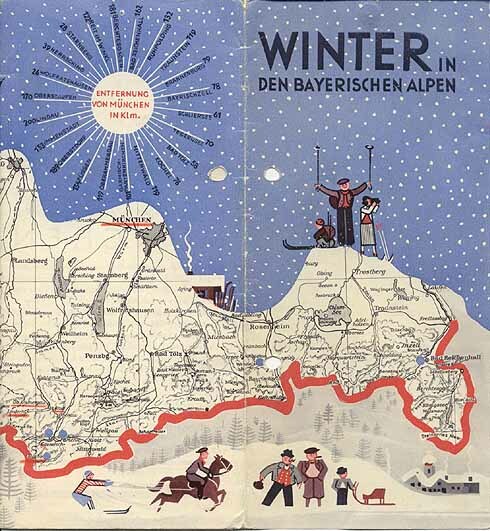 Travel brochure for the "Winter in Den Bayerischen Alpen," circa 1932. Published by the Landesverhehrsverband München und Südbayern. Signed "H. Ehlers," printed by Carl Lipp & Co., München.